One of the most active regulatory authorities in India, the Maharashtra Real Estate (Regulation and Development) Act (MahaRERA) has evolved with time and been at the forefront of project registrations, grievance redressal, and at providing clarity over a varied number of cases. Over the years, it has given several judgements, some of which are of significant importance. The Maharashtra real estate regulatory body boasts of registering the maximum number of projects across India and has set a benchmark for other States to follow. One of the reasons that makes it relatively successful than its counterparts is that all the information, including complaints and project details, is online and available in the public domain. Besides, the State has also set-up an appellate tribunal to hear appeals against MahaRERA rulings under Section 43 of RERA, making it one of the most transparent authorities across the country. Ever since its inception, the State regulator has heard thousands of cases and given verdicts, which have helped the Authority to set standards and give clarity on the probable action on similar cases. While some cases were peacefully settled, some took a longer time to reach a resolution. Further, while some rulings led the developers to incur heavy losses, certain other judgements left the homebuyers rethinking of their claims. What the rulings did for the realty market was outline the difference between ethical business practices and wrongdoings, which shall not be spared under RERA. The ruling was given post a case in which a homebuyer accused a Virar-based developer of unfair trade practice and selling single flats to multiple homebuyers. MahaRERA found the developer guilty of violating Section 7 of the Real Estate (Regulation and Development) Act. The Adjudicating Officer and Member of MahaRERA, BD Kapdanis, directed the developer to refund the entire amount of the complainant with a 10.05 percent interest. In addition to this, the regulatory body also asked the builder to pay Rs 20,000 towards the cost of the complaint and another penalty of Rs 2.50 lakh to the homebuyer for breaching Section 7 of the Act. The ruling set an example for developers indulging in similar practices and homebuyers who are seeking redressal in such a case. In a recent case, a homebuyer filed a complaint against a MahaRERA-registered project, wherein the developer extended the promised deadline while registering under the Act. The complainant sought redressal from the regulatory body and asked for a refund of the amount paid to the developer so far. MahaRERA ruled in favour of the homebuyer and directed the builder to refund the entire amount along with 10.05 percent interest. Further, when the builder approached the Maharashtra Real Estate Appellate Tribunal (MREAT) to counter the ruling given by MahaRERA, it was directed to deposit a minimum of 30 percent of the amount in contention as specified under Section 43 (5) of RERA. The MREAT ruled that a developer/promoter’s appeal can only be entertained post they pay the amount as specified by MahaRERA. In a case related to delay in possession, the MahaRERA denied compensation to a homebuyer stating that penalising a developer and awarding compensation with interest to a single homebuyer would create an adverse condition for other homebuyers and jeopardise the completion timeline. The aggrieved homebuyer had demanded compensation from the developer for non-delivery of the flat in a Parel-based project. The regulatory body, however, found that while 60 percent of the super-structure was finished, a major portion of the work was yet to be done. Keeping in mind the larger interest of allottees of the project, the authority ruled in favour of the developer while ensuring that if the project is not delivered on the revised deadline, the homebuyer can seek remedy against the developer. 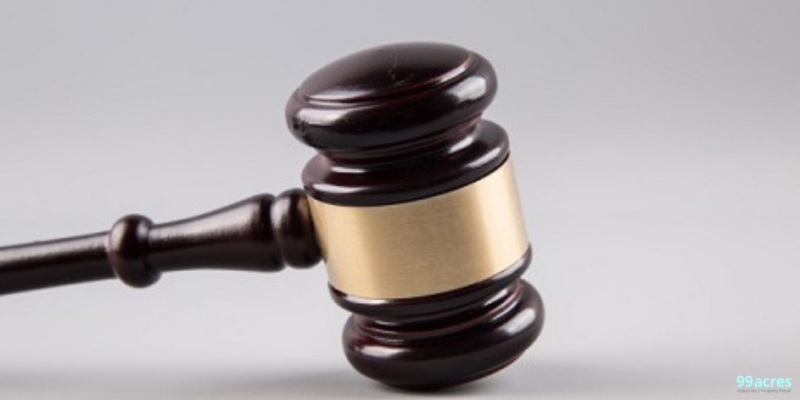 Another landmark verdict of MahaRERA came in a case pertaining to non-execution of a project when it directed a developer to refund Rs 7.10 crore along with 15 percent interest to 21 aggrieved homebuyers. These homebuyers had invested in a Santacruz-based project between 2013 and 2015 on false assurances by the builder. On July 24, 2017, the builder officially announced that the project could not take off due to delay in obtaining various approvals and offered a refund to the homebuyers. In addition to this, despite paying almost 50 percent of the apartment cost, the builder did not execute any sale agreement with the homebuyers. Under the central law, possessing an allotment letter merely do not make the buyer eligible for remedy. These homebuyers then approached MahaRERA which upheld the right of allottees despite not having a ‘sale agreement’. One of the reasons that the judgment is considered significant is because of its view on allotment letter, which until then was considered a sub-standard document by the Supreme Court. 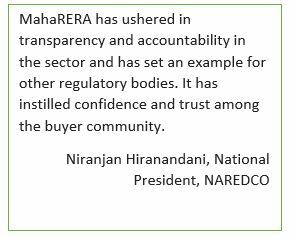 Interestingly, MahaRERA has crushed the casual approach of developers towards homebuyers and has made the State real estate sector more transparent. Developers today are not only registering their projects with the State regulator, but also trying to finish it within the specified deadline.